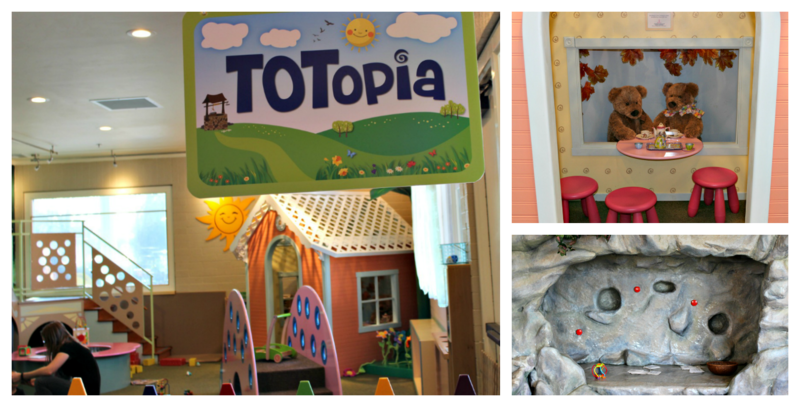 Here once again with this months' Bay Area Kids Fun post! 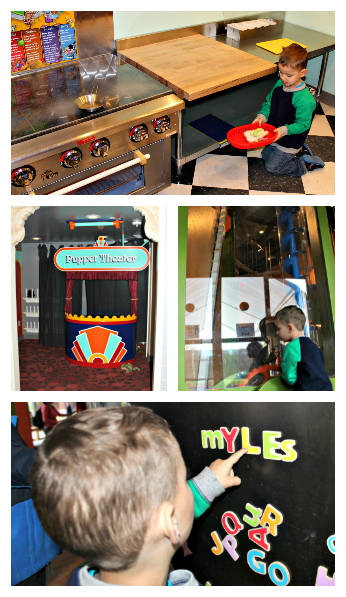 This month we checked out a children's museum closer to home. This museum is fairly new, being founded in 2005 and started with only outdoor exhibits (except for the little arts and crafts house). Construction on an indoor science and imagination gallery started in 2014 and opened during the summer of 2015. The outside exhibits are awesome on their own, but with the opening of the indoor exhibits, this place is one of our favorites in the whole Bay Area! Totopia is a side room they added to the indoor exhibits. It is designed for the little ones 35" or smaller. This space has enough to keep babies and younger toddlers occupied for as long as the bigger kids play in the rest of the museum. My son is just on the edge of being able to go in, so he did check some of it out. It features a cute little playhouse to sip tea with bears, a lilly pad (waterbed) for safe jumping, a grotto and tide pool water play area, and more (full list shown at link above). The first floor of the Science and Imagination Gallery has a big open area with rooms located all around housing the different exhibits. If you look up, you'll see a maze of train tracks circling the entire indoor area. From an exhibit on the second floor, kids can control the trains with buttons to start, stop, and switch tracks. They can also sit in a life-size train car and watch the train travel through the museum by way of a GoPro camera on the front of the train that links to a TV screen in the car. The Nuts & Bolts area is perfect for the older kids that love to build and create using their imagination. Diagrams are provided for those of us (me!) that need a little extra help putting together that butterfly your child so desperately needs to play with (for all of 5 seconds). Tons of tools and different building sets are available to accommodate a wide age range as well. 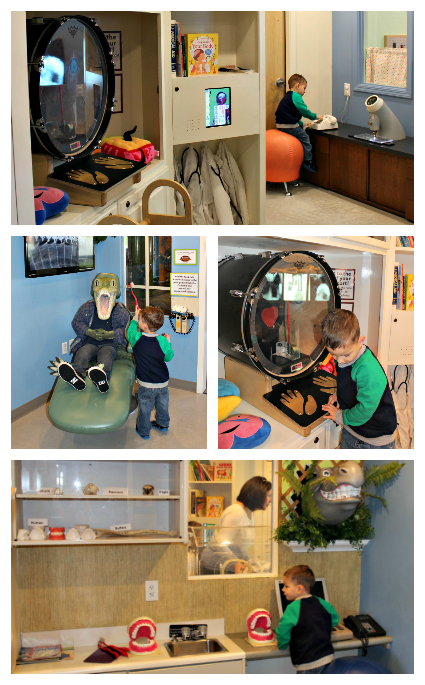 The doctor and dentist areas are perfect for kids to play and learn while they get acquainted and comfortable with the concepts of those places. In the crocodile dental clinic, kids can pretend to be the dentist and examine the croc's teeth and bones with an 'x-ray' machine. Next door is the doctor's office that has lab coats, microscopes, and a machine that measures heartbeats with a drum. Myles' favorite part here is the exam table with newborn baby dolls. My favorite room is the BeeHaven. 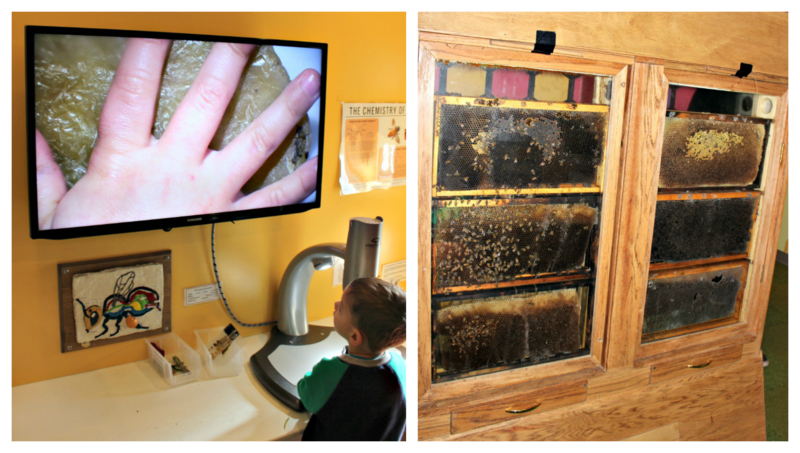 A bee hive is on display where kids can see a real hive in action. You can find the queen bee and watch the worker bees create honey. The rest of the downstairs consists of a state-of-the-art cafe/kitchen, a puppet theater where kids can control the lighting to put on a real show, and tons of ball launchers. Our favorite in this area is the AirMazing exhibit; a 15-foot high air maze where you can direct the air in different ways to see how varying objects flow through. The first thing you find upstairs is this neat Victorian style picture exhibit. A camera takes your picture and then digitally displays it in one of the picture frames on the wall. They have another little tot area upstairs to keep the little ones occupied while the bigger ones play with the older kid exhibits. My favorite exhibit upstairs, of course, is the life-size 'Lite Bright'. When you first walk outside, to your left is a set of life-size (foam) building blocks. 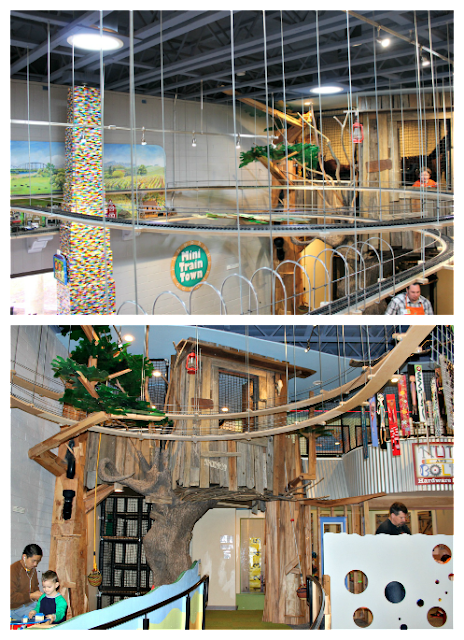 I've seen some pretty awesome forts and ball tracks built with these; tons of fun for kids and adults to enjoy together. If you keep going to the left, you will find Mary's garden. Kids can play at a cute little farm stand with pretend fruits and vegetables out front before they go into the real garden. The best exhibit outside is the Russian River water feature connecting to the gravel pit. Myles could play here for hours! It's especially nice to keep cooler when it's hot out; don't forget to bring water shoes, a towel, and swimsuits/change of clothes. 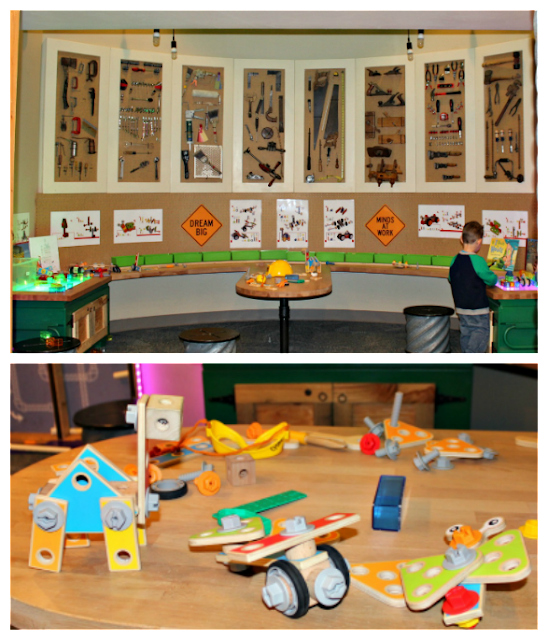 The salmon, buckets, trucks, and other digging toys are great additions to these exhibits. And the bubbling rocks allow for awesome water play and engineering fun. This dragon fly helicopter was added just after they finished the inside. 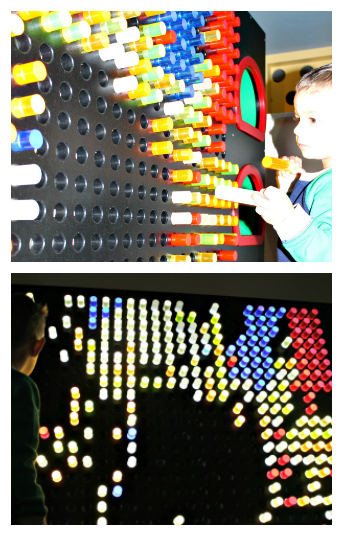 At certain times, it is open for kids to explore. Lastly outside, is Ella's art studio. One side of this building is for the arts and the other side is for parties, summer camps, etc. A small corner has some puzzles, building toys, and reading while the rest of the room is for the arts and crafts. They usually have a few structured activities going on each day and also this window for open painting. Everything is kept clean and functional. We didn't experience anything that didn't work or was closed for repairs. Great use of a smaller space; they really used every inch of space in their indoor area to create the most varying amount of exhibits as possible. Also great use of outdoor area; it feels open and big, but with so much for the kids to engage with. 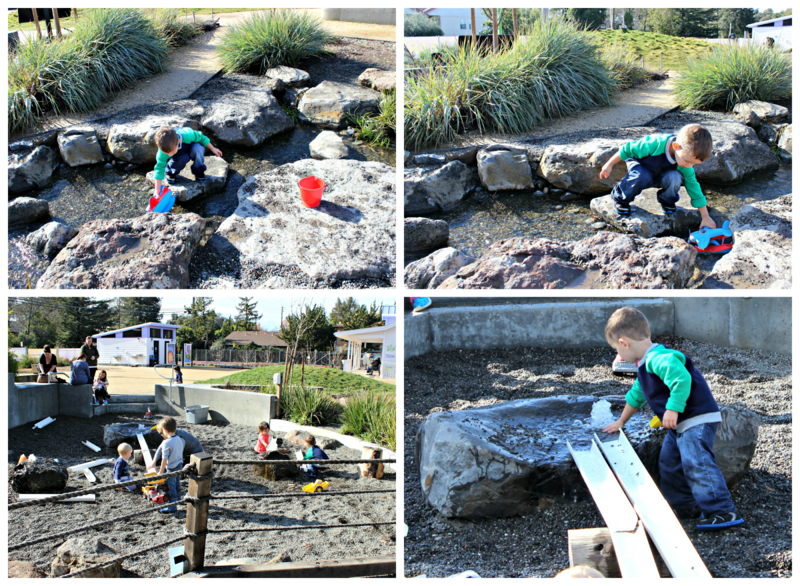 The water features are so amazing; the best of any children's museum around. If you go at the right times (early weekdays), kids can play freely with not much hassle from crowds. All of the exhibits are designed for ages 10 and under and an adult must be with their children, so I'm not sure why adults must also pay $10. This is typical of any place really, but during busy times, outside toys are scarce and indoor areas are crowded. It got busier as the day went on and somethings Myles wasn't able to check out because it they were being occupied for so long. 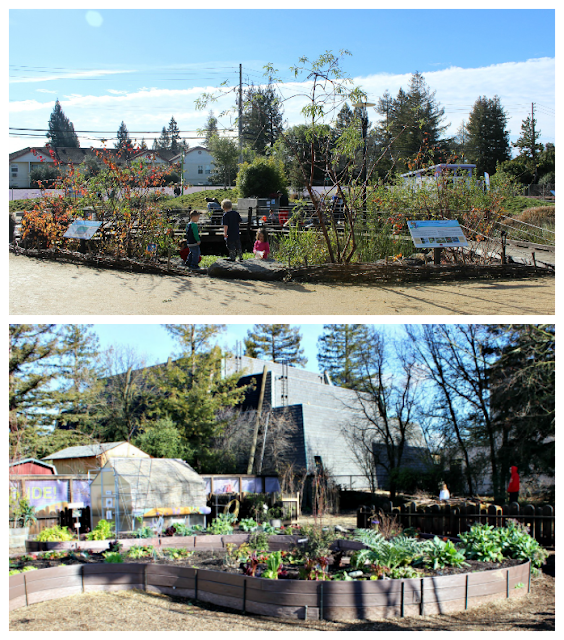 This museum is one of the only indoor/outdoor play places for children in all of Sonoma County, so there isn't much competition. However, I think this place has a lot of unique and truly engaging exhibits for the kids. And I am only more impressed since the opening of their new indoor science and imagination gallery. I would go a lot more often if I didn't also have to pay to get in, but Myles (4 years old) never experiences a shortage of fun and learning here! 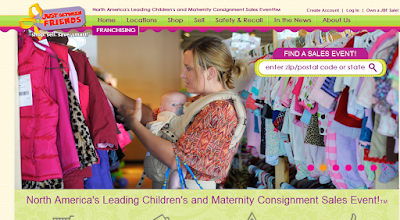 Today I wanted to share my thoughts on the Just Between Friends Consignment Sale. I figured I would share a quick post here, because it is a national consignment sale, so this may be helpful for anyone who has been contemplating giving it a try. If you have never heard of the sale or want to find one by you, check their location finder. They have them in most big cities and almost every state. I have sold a lot of Myles' outgrown stuff on Facebook, consignment stores, Craigslist, etc. 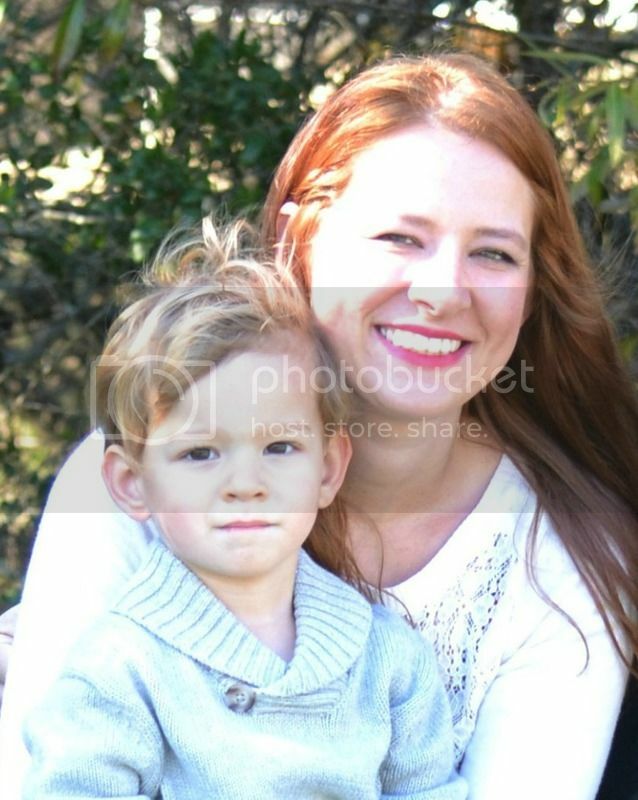 but I still had most of his 2t-3t clothes and a ton of books/movies/toys pilling up in our garage. We talked about having a garage sale, but we really didn't have anything else to sell besides Myles' things. So when I got an email about the upcoming sale I thought why not give it a try this year. With this type of sale, experiences will vary greatly; even the same person could have a wonderful experience one season of the sale, and a not so great one the next. So these opinions are from just this one sale I participated in. It does take a decent amount of time to prep your items for the sale. It also takes some money because you need to print your tags and have your own hangers, safety pins, tape, bags, etc. I have to say that the tag system is very easy and I had no problems with printing out my tags. I feel like the time spent prepping your items isn't any more than it would take to get a garage sale together or sell your items online through Facebook or Craigslist. It may take more time initially, but then the JBF and workers take care of the rest. I started prepping a couple weeks before the sale, so that I could spread the work out to about 20 minutes a night. In that way, it didn't feel like it took up much of my time at all. If you don't want to volunteer, the only thing you have to do with your items is drop them off and pick them up. The incentive to volunteer is getting a higher percentage of money from your sales and getting in to pre-sales. I signed up for a 4 hours shift just one day and I was then able to get 5% more money back and have early access to the regular sale/last day 50% off sale. 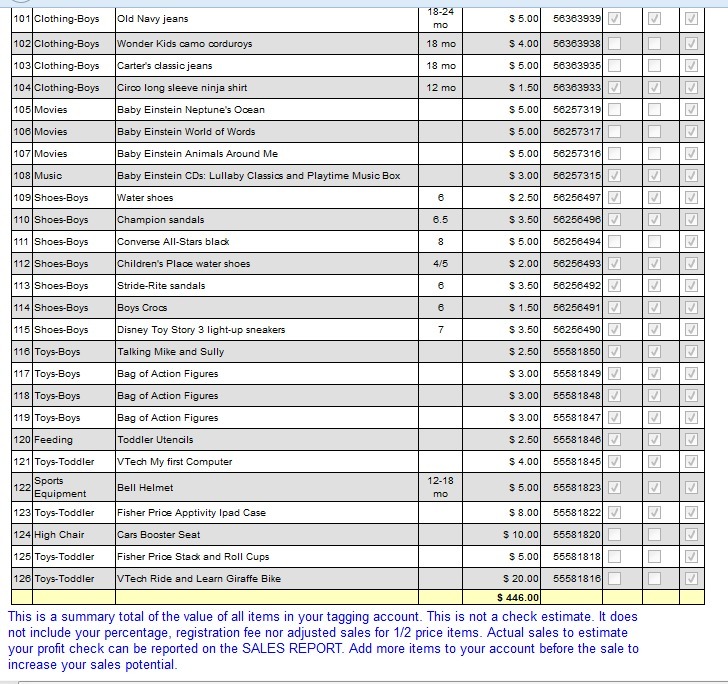 I am a numbers person so before I get into how much I made, I want to share the types of items I put in the sale and how many of each sold. 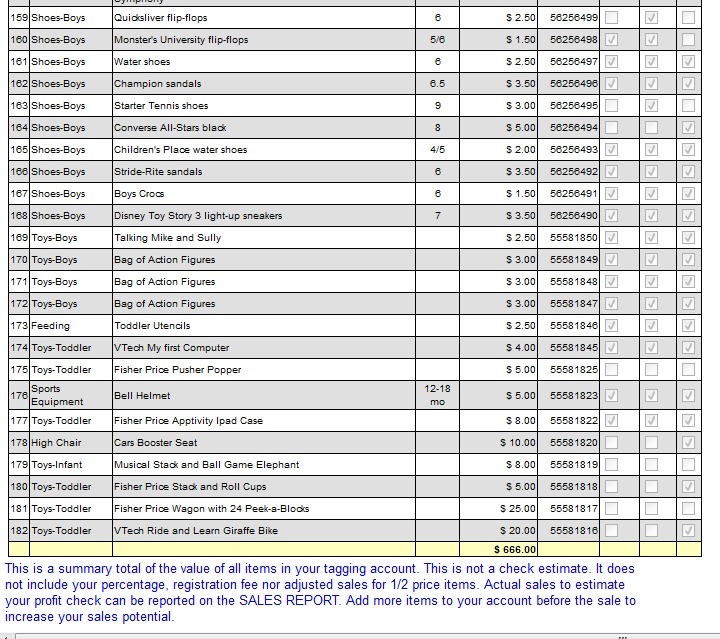 Out of the total sold, 98 were full price sales and 28 were half price sales. This is how much I made taking into account all the fees and %s. If you don't volunteer, you get 60% and if you do, you get 65%. Also there is a $13.50 cosigner fee. So the check I got in the mail was for $251. 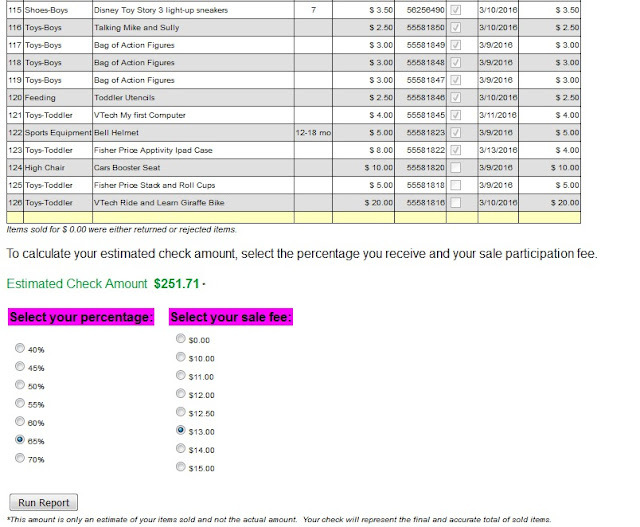 Even at the 65% I made more than I would have at my own garage sale or selling online. With this sale, you get to pick your own price when tagging your items. They do give you a guideline sheet, which is very helpful, but in the end, you decide on the price. Items at a huge consignment sale like this will be priced higher than garage sales and online selling. There are a couple of reasons for this. 1. They are very picky with the items they sell. There is an inspection process that keeps only good condition items on the sales floor. 2. The convenience of having 1,000s of items all in the same place. 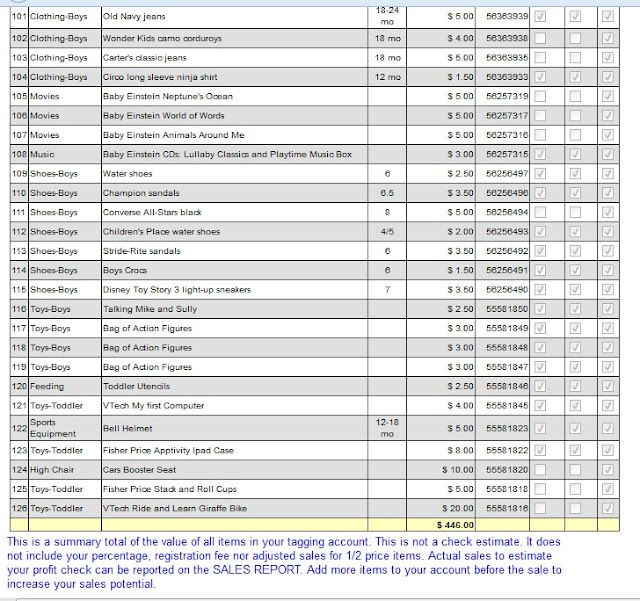 For those reasons, the prices of my items are more than I would be able to sell them for on my own. Therefore, even with only getting 65% of my sales, I made at least the same and probably even more than I would have trying to sell on my own. Whenever I sell anything of Myles' I always recycle the money for the next things he will need. We are currently working on his 5t wardrobe. I waited to shop until the 50% off day and since I volunteered, I got to shop the night before it was open to the public. I bought around 30 items (including 2 pairs of shoes), all in great condition, for $47! I told myself to keep it under $50 and I managed to do so. The remaining $200 is being saved for future purchases. 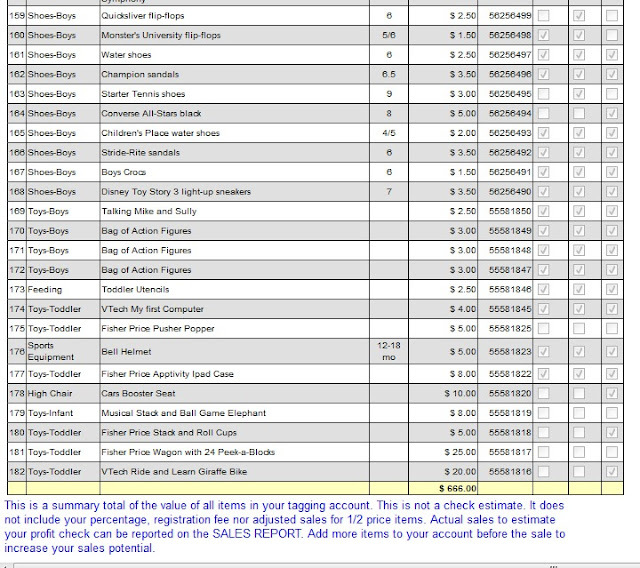 So all in all in this particular instance, the money we made was well worth the time/effort put into selling at JBF. I will most definitely do it again. Have you ever consigned at a sale before?